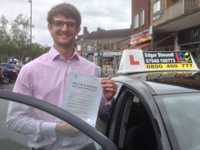 Edgar is the most gentle, softly spoken, PATIENT driving instructor you could ever hope to have teaching you. I couldn't have been the easiest of pupils. As well as being involved in a crash many years ago (as a passenger) and having been previously taught by a bad instructor that all but destroyed any remaining self confidence in driving I had. I also have a terrible memory that leads me to being very nervous and forgetful. It's a testament to Edgar's experience and social skills that he has managed to overcome my real fears and doubts. (I know how much cars can hurt if they hit you!). Edgar never displayed any frustration, or raised his voice, never once said "You should know this by now" and was just as quick on those dual controls protecting you on the last lessons as he was on the first. Starting every lesson (punctually) with a smile and a "How are you?" his gentle demeanour and quiet chuckle put you at ease and he always answers your questions and never tires of having to repeat himself. (Especially with me!) He's a perfect tutor for the young, female, nervous, the elderly (the forgetful!) and those who want to ENJOY driving as well as feeling completely safe and informed. Despite any nerves you have he'll put you at ease, be ready with an instruction and why you should do it. You'll look forward to the lessons… really! A genuinely nice human being I have got to know over the course of my tutelage, and whose teachings will remain with me as muscle memory long after the test. Coming from me that means something! Someone who loves his job and loves to drive. Everyone remembers a good teacher and you couldn't want for a better tutor than Edgar. Looking forward to taking my Pass Plus with him. The LDC book and DVD are also very useful. An actual Driving Test is included on the DVD which is especially helpful as unlike youtube videos it also includes the interior mirror view so you can "drive along" with the video and get used to checking the mirror when not driving. (if they had left and right mirror views it would be perfect!). After a long time thinking about learning to drive I finally booked a week long course with LDC. The workbook and DVD gave a great way to track developing skills and prepare for lessons. The practical lessons needed a high level of concentration but Edgar still managed to keep the atmosphere relaxed. He was always on time, never rushed through different skills and his goal of making me a safe driver was something I really felt invested in. After 6 days of lessons I took the test on the Friday and passed first time! Just wanted to say a huge thank you for your patience and guidance in me gaining a skill which I look forward to developing more in the future. Words are not enough to describe how grateful I am to have Edgar as my Instructor. He is kind, generous and patient. He instilled confidence and a can do attitude in me which has helped me in my lessons, especially when I kept making mistakes and felt like giving up. Thank you Edgar for believing in me. I also want to thank LDC for the DVD and the book, it has helped me on my journey to becoming a safe and confident driver. I feel extremely lucky to have been taught to drive by Edgar. 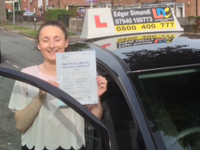 As a nervous learner driver, I was keen to find a kind and patient instructor, and found exactly that and more in Edgar. He made me feel comfortable immediately and thanks to him I have grown into a confident and safe driver. The LDC system is a brilliant way to develop your skills and provides the flexibility to focus on specific areas of weakness. 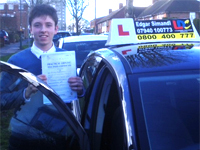 I cannot recommend Edgar highly enough; because of him I passed my test and now really enjoy driving! Thank you very much Edgar! 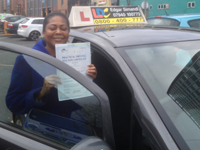 I undertook a 7 week driving course with Edgar, he is such a friendly instructor and offers you a lot of independent driving which my previous instructor did not! I am so happy I swapped and learnt to drive with Edgar! If you want professional and friendly tuition, I would definitely recommend Edgar! I'd highly recommend Edgar as a driving instructor. From the first moments of my first lesson, he put me at ease whilst filling me with confidence that I was more than capable of driving a car. Never one to rush, and always patient, Edgar guided me through the course of my lessons and pushed me to push myself without ever making me feel forced to attempt anything I was uncomfortable with. I passed my driving test on my first attempt. Passed today first time with Edgar as my instructor. Excellent instructor, very calm and clear. I would recommend him. Did the midway pass course and Edgar has helped me qualify today. Thank you. I would really like to thank Edgar immensely! I have had numerous driving instructors over the years and felt like I had learnt nothing. After having an assessment lesson with Edgar he agreed I was suitable for the week long intensive course which I wanted. From the start I found him completely professional knowledgable and patient! Not only did he teach me how to drive, but also how to be safe and gave me the confidence which I lacked. I truly believe because of him I passed on my 2nd attempt, and will miss my lessons with him! So much so i intend to book the pass plus course with him for extended knowledge. Thank you so much Edgar! 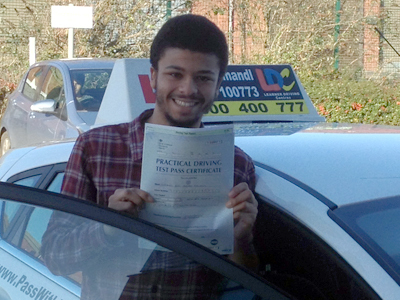 After having lessons with Edgar I passed my Practical Driving Test on first attempt. I learnt a lot with Edgar, he is a very good instructor who takes his job seriously. I also did like his car, it is comfortable and in perfect condition to learn with. I loved the LDC learning system. I used to drive in Tanzania but never in the UK. The system is easy to follow and the dvd was very helpful. My instructor (Edgar) is great. He is very patient and easy to talk to, talked me through all my bad habits (not using MSM routine! ), he answered all my questions as well as going through all my worries one at a time. 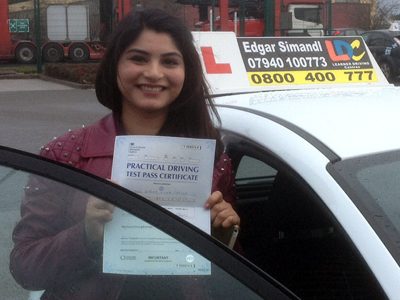 Edgar focuses on safe driving throughout your driving life and not only to drive enough to pass the test. I am looking forward to doing the PASS PLUS practical training course in December with him as well. 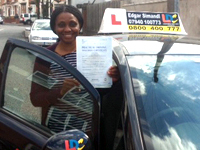 Thanks to LDC and my instructor Edgar who has been brilliant and trained me well to get my licence. 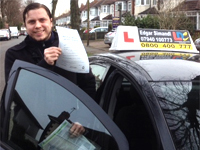 His way of teaching was outstanding as Edgar is full of patience which helped me to become an confident driver. 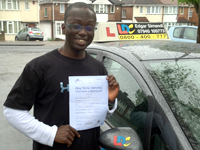 I will recommend LDC and Edgar as a perfect instructor to other learner drivers. Thanks a lot. Thanks to Edgar's calm and systematic approach to teaching I was able to pass my test on the first attempt. My confidence since taking his lessons has increased enormously. As such, I now feel safe and capable on the road. I had tried other instructors before but with Edgar I felt more at ease, and he was very attentive to my learning how to be a safe driver. I am very keen to do pass plus with him when possible. I thoroughly enjoyed having Edgar as my driving instructor. He showed a great understanding and patience throughout all of my lessons. He lesson structure was exactly what I needed, helping me working on my weaknesses and maintaining my strengths. 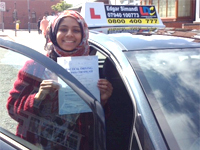 By the end of the course I felt confident driving around the busy roads of Birmingham. I would absolutely recommended Edgar as a driving instructor. 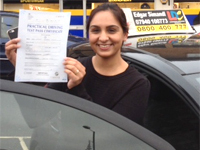 I passed my practical driving test on 17th July 2014. And let me tell you, it was one of the most exhilarating moments of my life. From the beginning, It was such a trial for me, I just wouldn't get it, went through a few unsuitable instructors, until I found Edgar Simandl. Edgar is one of the most professional, honest, and patient people I know...he put up with me and that's not easy!! He supported me the whole way, And I HIGHLY recommend him as your driving instructor... I urge everyone to pass there driving test, it's a life long skill and I can personally say it was worth every penny! Thank you Edgar! So happy to pass practical test on my 1st attempt, I would like to give big thanks to my driving instructor Edgar, without his help, I wouldn't achieve it. He not just helped me to pass the test but also guided me to be a safe driver for the future. I really enjoyed my learning time with him, always making me feel comfortable and relaxed during the lessons. 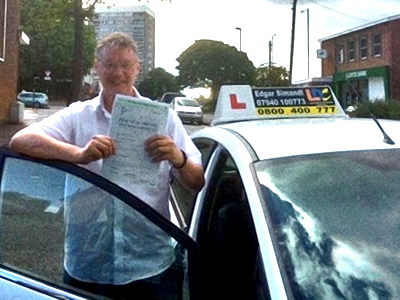 He is very professional, patient and positive, an excellent driving instructor. Never re-arrange planned lessons and always on time, on exam day he offer to pick me up early in the morning to make me more confident on test, really appreciated that. I would highly recommend Edgar as a driving instructor to anyone who wants to become a good driver. I found Edgar to be very punctual, friendly, patient and professional. 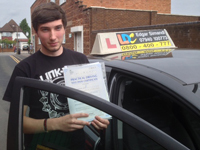 The LDC Workbook and DVD are clear, concise and very informative which enabled me to pass my test first time after just one week of driving tuition. Thank you to Edgar Simandl for the best birthday present I have received... my Driving Licence!! I really enjoyed the weeks worth of intense driving with Edgar. He is a very professional instructor and very patient. I will be recommending him to anyone that wishes to learn to drive. The LDC book and DVD were a huge help while learning to drive as you can read and watch a lesson, one at a time and then test yourself with the mini quiz's. 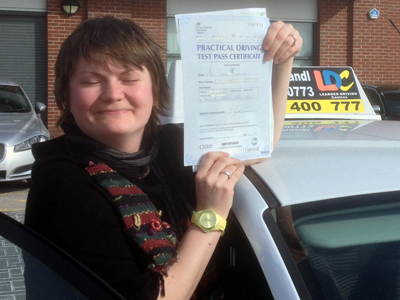 Also watching a driving test helps ease the nerves and prepares you for what is to come in your test. Thank you again, Edgar, driving has been something I've wanted to achieve for a long time and you made me feel a very confident driver. Thank you for helping me to pass my driving test on my first attempt. 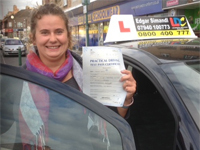 You are a great instructor and it has been a pleasure learning to drive with you. I would recommend Edgar for your driving lessons. He is a great instructor, friendly, reliable and also patient. I'm very glad I choose Edgar to teach me. The LDC book helped a lot for me. Would like to thank Edgar he a brilliant instructor. I would not hesitate to recommend Edgar to anyone! A fantastic instructor who didn't only concentrate on the test but on making sure I had the skills to be safe on the roads once I had passed. He was always patient and calm throughout and provided good company during the lessons. The LDC workbook he provided was very helpful. The system of reading about the lessons both before and after mean that you always have some knowledge of what to do before you actually do it. Thank you Edgar for being such a good instructor! 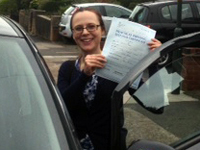 Despite suffering from hearing loss I passed my driving test first time! Edgar was always positive, calm and precise. 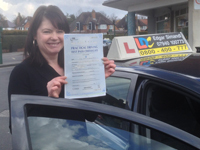 This made me feel relaxed in the car and enabled me to pick up the skills and experience needed for safe driving. 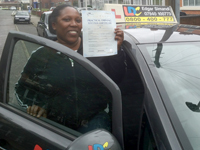 I feel the combination of the LDC Driving Skills Workbook, DVD and one to one driving tuition extremely effective. 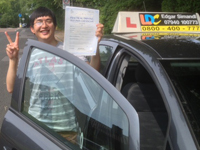 Edgar was flexible to my college timetable and arrived bang on time, every time! Thanks Edgar! Highly recommend! Many thanks to my fantastic instructor. I feel that I have been so lucky to have Edgar as my instructor. I wouldn't hesitate to recommend him to anyone who wants to learn to drive safely. 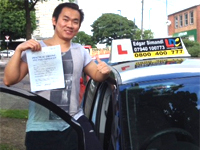 I really enjoyed my lessons with Edgar and I found him reliable, patient and very friendly. The LDC workbook was very helpful preparing for the practical lessons. It certainly saves time and money as it helps to reach the goal of save driving much quicker. It felt great passing my driving test. 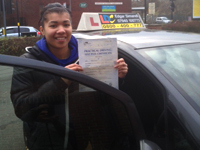 I am now confident behind the wheel and have learnt driving skills that I will use all my life. A big thank you to Edgar who is an excellent teacher, always calm, patient and explaining everything clearly. I highly recommend choosing LDC and Edgar if you want guaranteed success. The LDC Driving School is fantastic. I truly learned from Edgar how to drive safely and properly. 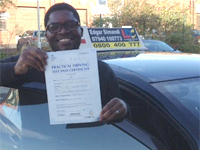 Edgar helped me to develop my hazard perception and observation skills which I believe is critical to safe driving. 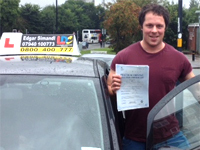 His excellent teaching enabled me to pass my driving test in a very short time and more importantly become a safe driver. The lessons have been enjoyable and Edgar is a great guy with an excellent personality. I have had lessons on and off over the years but Edgar has shown me how to really drive, so that I now feel confident to be out on the road with my little daughter in the back of the car. My husband will also be using Edgar in the near future, so if you are looking to learn how to drive, Edgar is your man! 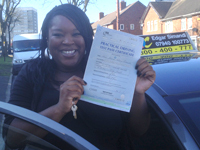 I strongly feel that my success of passing my driving test were mainly due to your dedication and timely schedule on picking me up for lessons. Your calmness enabled me to rapidly gain confidence on the road. Your critism and firmness in pointing out mistakes and prompt corrections and my positive attitude was a key factor in my success. In particular I cannot forget to mention the three attempts in reversing to the left around a corner, emerging into cross roads and speed limit observations. 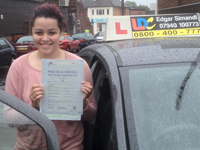 Initial assessment of my confidence and ability to put my theory into practical driving was quite helpful to me as you identified my strong points and weak ones and subsequently advised me accordingly during the lessons. Today I walk with my head high and would not hesitate to recommend you to a family member or friends for safe driving skills instructions. Last and not least I appreciated your humane and tolerant manner throughout the coaching sessions. I contacted LDC for an intensive course and I was recommended to take the Midway Pass Course. I was allocated an instructor, Mr. Edgar Simandl. Edgar then became my driving guru and did everything for me including working out a training schedule around my work and booking the driving test. He was flexible about pick up and drop off points. Aside from his super organisational skills he is also very knowledgeable, proficient and patient. 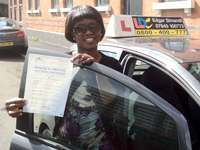 He was able to provide me with the technical driving skills whilst also building my confidence as a driver. 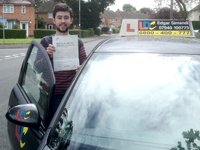 I would recommend LDC and especially Edgar to anyone who is serious about not just passing the driving test but also to become a safe and competent driver. Thanks for everything, Edgar. Edgar has been very professional with excellent interpersonal skills and coaching techniques. He is patient, informative and caring. I would recommend him to anyone who is looking for driving lessons, beginners or otherwise. Thanks, to Edgar for being a superb driving instructor. His calmness, patient and caring attitude along with the LDC driving skills DVD and Book has helped me to pass my practical driving test. I found Edgar's way of learning to drive very clear, straightforward and easy to understand. It was an enjoyable experience and I would recommend him to anyone. 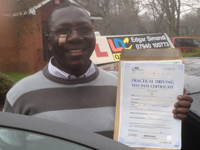 I was initially very nervous about learning to drive, but Edgar from LDC soon put those nerves at ease. Edgar is very good in knowledge. he is very professional and made me feel at ease all the time. I found him to be extremely reliable, very calm and patient and really friendly . He is very punctual, co-operative and supportive person. I enjoyed my driving lessons. The LDC's DVD and workbook were a great help because they take you through the lesson bit by bit and this helps the information stick in your mind. Edgar taught me with the LD System which is an absolutely informative system to follow as it is a structured way of learning for new drivers. Thanks to the LDC learning method and Edgar's teaching skills and his efforts, I passed my test with only 3 minor mistakes ! I highly recommend Edgar to anyone who wishes to pass driving quickly and anyone who has struggled with other instructors. Once again Thanks a lot Edgar ! Firstly, a million thanks to my instructor, Edgar! 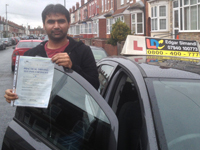 He has helped me to pass the practical driving test after a course of only 5 two hour lessons. He recommended the best driving course that suited me. I strongly recommend him to anyone. Edgar is a superb and caring instructor, million thanks again! 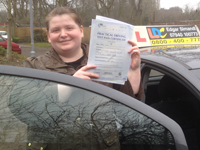 When it came to the time for my son to learn to drive I was at a loss as to where to look for a suitable Driving Instructor, as my son has Aspergers Syndrome, and I knew I had to have someone who was extremely understanding and very patient. I contacted Antony who came around to the house to meet us and have a chat, from that moment my son seemed very relaxed and at ease. 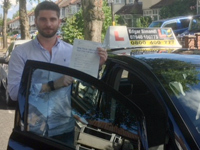 Antony gave expert tuition, was certainly very patient and delivered the lessons in a straightforward and kindly way, which my son really responded to, which resulted in him passing his test the first time. I am so glad that I contacted Antony, as, if we had chosen the wrong instructor, it could all have been a very different story! Edgar taught me to focus on road hazards when driving, especially road signs & markings. This makes driving easy and I became less nervous and could concentrate much better on the road. Thank you Edgar for being a patient instructor. Having never sat behind the wheel before I was quite nervous before my first lesson. Despite this, Edgar was really great in the way he instilled confidence in my own abilities, and at the end of the first two hours session I got out the car looking forward to the next. 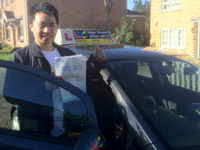 Edgar's patience and ability to explain things in an easy-to-understand way proved invaluable, as did the LDC workbook which truly made you think about the processes and steps when driving, especially in regards to the manoeuvres. As a result, I knew what I wanted to go over with Edgar as soon as I got in the car, which meant that we could get these out of the way allowing me as much time as possible to spend driving, rather than talking. I wouldn't hesitate to recommend Edgar to someone else, in the same way that he was recommended to me, and it's a testament to his teaching that I passed on my first attempt and my brother did so on his second, and that we both thoroughly enjoyed the experience. Before my one week intensive course with LDC I had never sat behind the wheel of a car, let alone drive one. All I knew was what the pedals did. With the help of my driving instructor and the helpful and easy to understand workbook and DVDs I was able to pass my driving test first time! My instructor was friendly and easy to get along with and encouraged me to do the best that I can. The workbook quizzes were great as they allowed me to test my knowledge and also prepare for the next lesson as did the DVDs. Without all of this I would never have been able to pass within 6 days of starting to drive. It has been a great experience to have you as my driving instructor, I found the experience very challenging and your teaching skills have left me with a great sense of achievment. I was so proud to have you as my driving instructor, overall I think the experience was one of the best I have ever had. 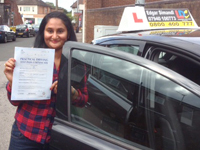 I would be happy to recommend you to anyone who is looking for a driving instructor as your teaching skills were very immaculate. 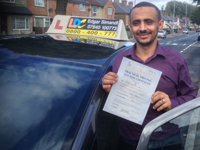 As an experienced driver from another country, Edgar was brilliant in teaching and raising my driving skills to the Driving Standards Agency (DVSA) standards required to successfully pass the driving test. 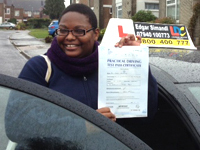 I learnt not only how to pass the test but excellent driving skills I will be using for life. I highly recommend Edgar as an instructor because he's patient enough to explain the difficult manoeuvres that are possible during the practical driving test and also has a wonderful way of putting you at ease behind the wheel. In addition, the LDC Driving Skills Workbook is an excellent resource to read and it is easy to understand. Looking for a competent and capable instructor? Look no further! 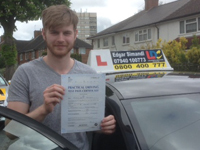 It is quite daunting learning to drive later in life but I would recommend Edgar to anyone. 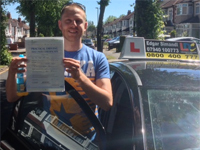 Calm and re-assuring with a nice easy manner he is an excellent instructor and very good to learn with. The LDC workbook is a clear and invaluable aid to the overall process. My first lesson I was so nervous having never driven before. 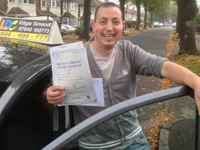 Edgar was amazingly helpful,he quickly calmed me down and gave me a great sense of confidence. With Edgar I was taught how to drive and not just how to pass a test. I recommend him highly. Thank you so much for all you did, im very glad I had you as my instructor my only regret would be not having you to start with! 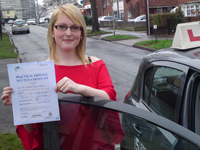 I really enjoyed my experience of learning to drive and found every lesson enjoyable. The Driving Skills Workbook was also great in helping me pass both my theory and practical tests. Edgar is a great instructor and I will miss being a learner with him! 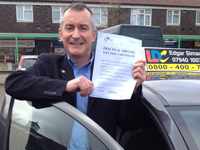 Passing my driving test was a great feeling and a very useful life skill and doing this would be not be possible without my driving teacher Edgar, a fine teacher from LDC's driving school. I found my lessons were good and things like the three point turn, reversing round a corner and parallel parking. 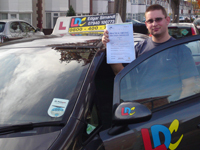 For any drivers looking for a driving school I recommend LDC. At my first lessen I was really nervous but Edgar put me at ease. He was very pleasant with me and pushed me when I needed it and all the time still putting me at ease and makeing me laugh. I wouldn't hesitate to recommend Edgar as a driving instructor. 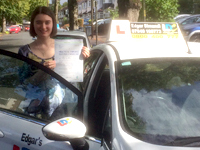 I began learning to drive in September, and by the end of October I had successfully passed my test with 5 minors! 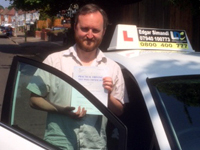 Edgar genuinely cared about my driving ability, and wasn't just there to help me pass my test, but to teach me how to drive safely for the rest of my life - if I was struggling to get the hang of a manoeuvre or technique Edgar would keep going through it with me until he felt comfortable to carry on. He tailored his lessons to suit me - with lessons ranging from 1 hour through to 5 hours. I really enjoyed my time learning with Edgar and hope you do too! Really appreciate all you've done to help me!